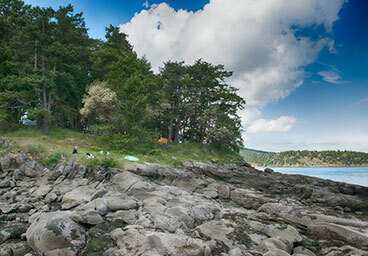 campsites, a 2 bedroom cottage, and 1800 ft of low bank beach access. 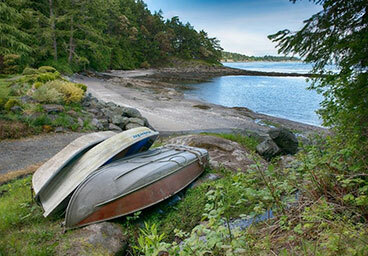 We welcome you to share our beautiful corner of Mayne Island - one of the southern Gulf Islands in B.C., Canada. Our vision is to provide a tranquil, environmentally conscious campground retreat for families and those that love the outdoors. 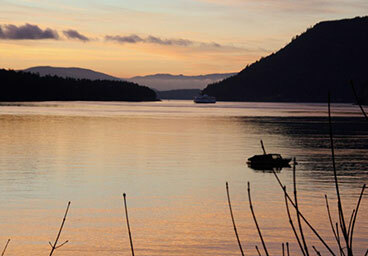 Come join us to enjoy this quiet retreat and delight in its pristine beauty. Explore 22 acres of private undeveloped forest and coastline while you stay in one of our 12 walk-in waterfront and forest campsites. 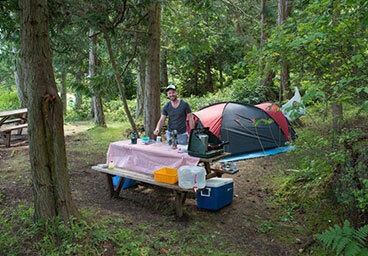 Mayne Island Camping prides itself in offering a beautiful quiet campsite in a natural setting catering specifically to tenters. Most of the sites overlook the 1800ft sand and pebble beach while the rest are set in untouched forest. 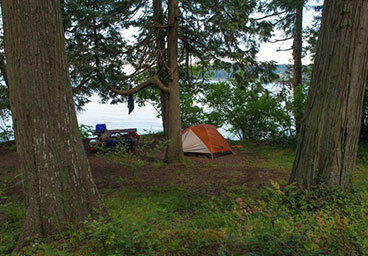 Pitch your tent and find yourself relaxing in this quiet family oriented campground. 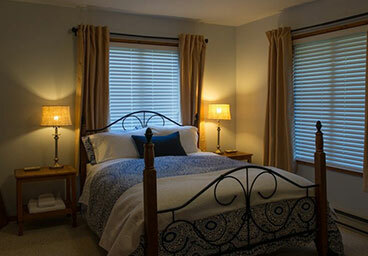 Relax in this comfortable cottage while enjoying beautiful views and an environmentally rich beach and forest. 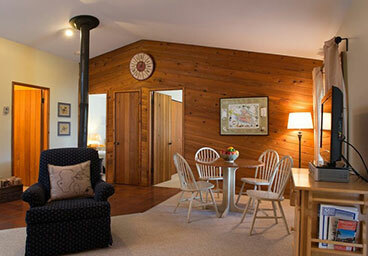 A place for those who love the outdoors or who just want to nestle beside a wood burning fire stove. This tranquil comfortable retreat overlooks miners bay and a low bank sandy beach where kingfishers, seals and eagles abound. With sites right on the water you can fall asleep to the sounds of lapping waves. Every site has a picnic table on which to cook meals and play games. A spacious area to play games or relax. Large and comfortable Master Bedroom. 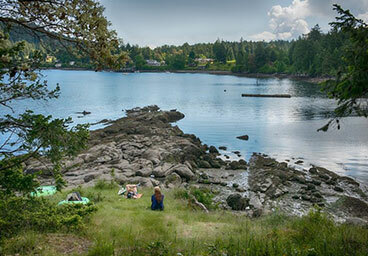 Campers watch seals, otters, bird life and maybe even an orca or porpoise from the point. View of the campsites from the water. Bring your boats to putt around the bay or explore further afield.